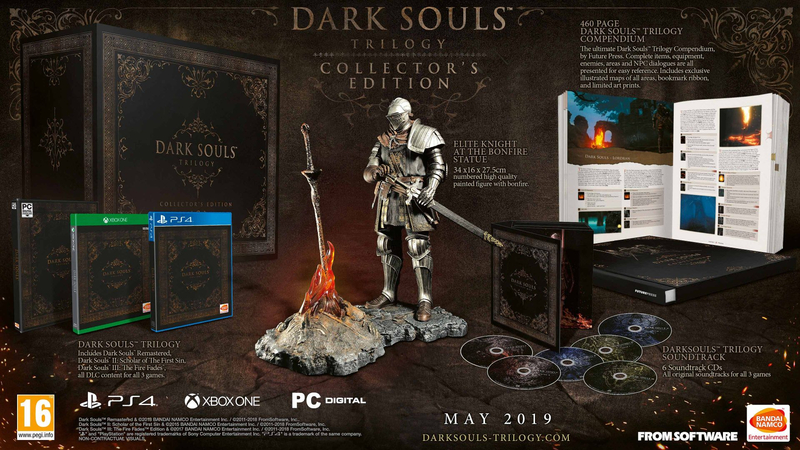 Bandai Namco appears to have announced a very limited edition of the Dark Souls Trilogy and it’s only available in the UK. Unfortunately, the page isn’t available to even view from the US apparently, but luckily for you, I reside in the UK, so I can give you the low-down on this…hefty priced Collectors Edition. 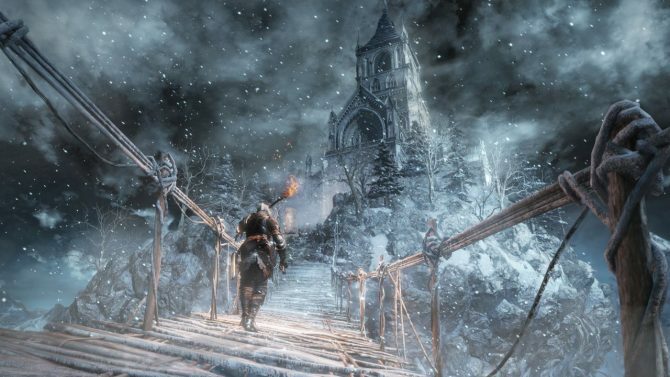 The Dark Souls Trilogy: Collectors Edition is available for pre-order and costs £449.99. 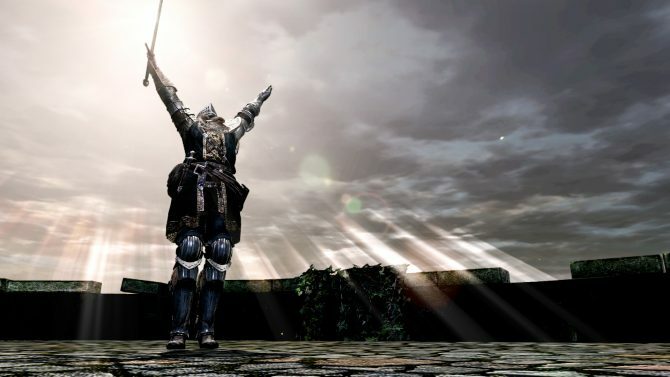 It will grant the player access to all three of the Dark Souls games as well as any previously released DLC content all in one three-disc collection. As well as the base games and all included DLC, you’ll also receive the original soundtracks which will be made available by using the voucher code at EP!C corner. This will allow you to download the music of the Dark Souls saga which was composed by Motoi Sakaraba and Yuka Kitamura. It features 110 tracks bringing more than 6 hours of listening time with 6 CD’s inside. That’s obviously not all. 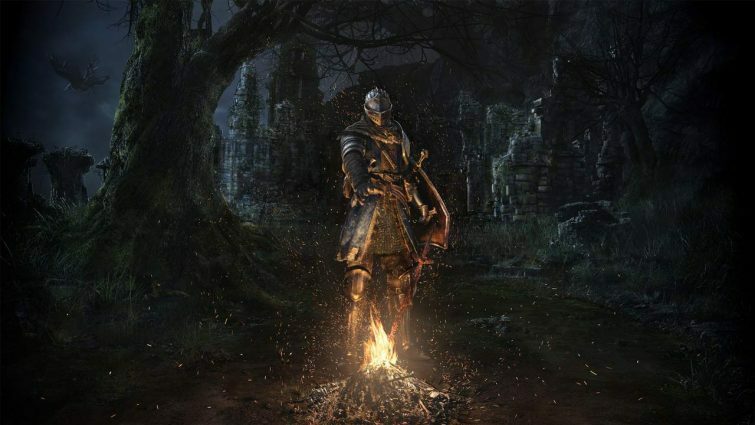 Also included in the Dark Souls Trilogy: Collectors Edition is an Elite Knight at the Bonfire Statue which is a painted figure that is numbered and stands at 34x16x27.5cm. There’s also a compendium included which consists of 460 pages of equipment, enemies, items, areas, and even NPC dialogues that are presented for easy reference. The compendium also includes illustrated maps of all areas with a fancy bookmark ribbon and limited art prints. There are only going to be 2000 of these created, so if you’re in the UK and think you’ve got £449.99 to spend, this might be a purchase for you. You can find the pack shot below. I ventured to the checkout page and the United Kingdom is the only country listed for delivery. 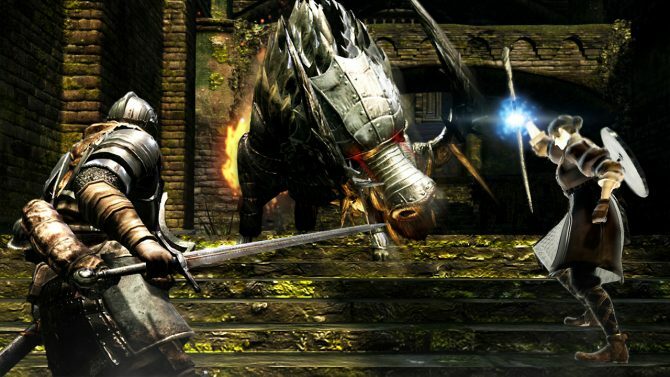 This isn’t the first time we’ve seen Dark Souls get collectors editions with high prices either. Back in 2015, we saw a Dark Souls III Collectors Edition leaked by a retailer, and Dark Souls II got a PC Collectors Edition in 2014. The Dark Souls Trilogy: Collectors Edition is available for pre-orders now and for Xbox One, PS4, and PC. It’s planned to launch in May of this year.